Hello again, I really am on a roll with these blog posts now. 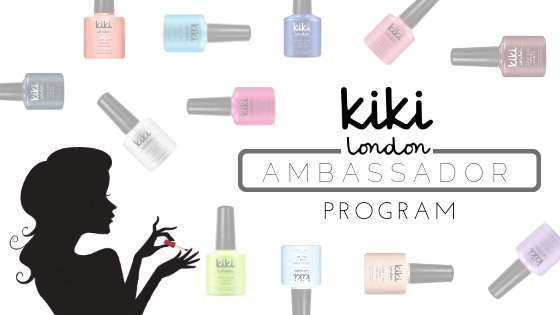 This time I have 15, yes… 15 Kiki London Gel polishes to share with you! I’ve accumulated these over the last couple of months, being a brand ambassador, but just didn’t get around to swatching them during my hiatus. But now I’m back and I’m going to share them ALL with you today! I have some spring shades, the summer collection, a couple of glitters AND a few autumnal colours… I even have some more coming in the post, so keep an eye out for those! I’ll keep descriptions short and sweet this time around as there are so many to get through and I don’t want to make it any lengthier than I need to! Prices are currently starting as little as £3.99 to £4.99 per 7.3ml polish (RRP £7.99) and you can use my discount code TIPPEDOFFNAILS to get 15% off ALL items including those on offer!